The golf team won the 2018 OHSAA Sectional Tournament on Thursday, Sept. 27 at Riverview Golf Course with a new school record of 291. Conner Stevens with the medalist with at 68, Anthony Clark shot a one under par round of 71, Justin Atkinson had 75 and Jake Shingledecker had 77 for the Warriors. The golf team advances to district play next Thursday at Tannenhauf Golf Course. Golf Team finishes undefeated for the second year in a row! The golf team finished their second undefeated season in a row by beating Liberty on Tuesday, Sept. 25 with the final tally of 158-202. Conner Stevens and Justin Atkinson shot 37, Anthony Clark had 38 and Jon Hiner shot 46 for the Warriors. The golf team remained undefeated (13-0) by beating Liberty at Old Avalon Golf Course 151-194 on Tuesday, Sept. 18. Conner Stevens and Anthony Clark shot 36, Justin Atkinson had 38 and Jon Hiner had 41 for the Warriors. The golf team finished 5th of 15 teams in the Kiely Cup at Canterbury Country Club in Shaker Heights on Monday, Sept. 10. The golf team stayed unbeaten with a 145-172 victory over Champion on Wednesday, Sept. 5 at Bristolwood Golf Course. Conner Stevens shot a 5 under par round of 31 to lead the Warriors. The other scores for the Warriors were Justin Atkinson 34, Anthony Clark 37 and Jake Shingledecker 43. The golf team remained undefeated by beating Crestview 142-187 on Tuesday, Sept. 4. Here are the scores for the Warriors: Conner Stevens 34, Anthony Clark 35, Jon Hiner 35, and Justin Atkinson 38. Conner Stevens 34, Justin Atkinson 35, Jon Hiner 37 & Jake Shingledecker 41. The golf team won their third match of the season be beating Campbell on Tuesday, Aug. 7 at Bedford Trails GC 162-205. The scores for Brookfield were Justin Atkinson 37, Jon Hiner 39, Jake Shingledecker 39, Dustin Moffett 47, Marlaina Marek 52, and Shawn Hitt 65. The golf team defeated Liberty on Thursday, Aug. 17 at Old Avalon GC 155-181. 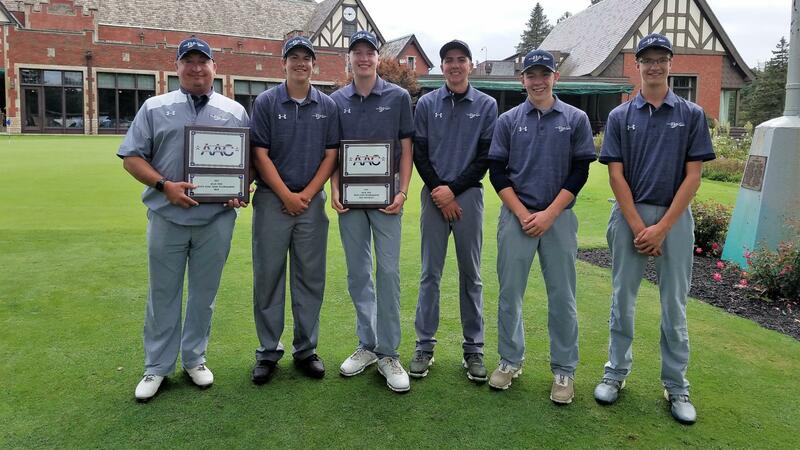 The scores for the Warriors were: Conner Stevens 36, Justin Atkinson 38, Jake Shingledecker 39, Nate Smoot 41, Jon Hiner 49 and Johnny Ellcessor 49.